The stars of Game of Thrones are returning to Belfast for season 7, and soon we’ll have a host of new locations to keep an eye on. Already there’s activity going on in Northern Ireland, as production prepares for filming of the new season. IrishThrones reports that activity has been spotted out in Corbet, the village that hosted shooting last fall particularly for the siege of Riverrun storyline. It’s unlikely filming has begun so this is probably crews working on sets for season 7. IrishThrones says the work is happening in the Riverrun courtyard built there, not around the castle façade. In other filming news, we’ve heard some exciting information from one of our trusted sources. We’ll tuck this below the cut for MAJOR SPOILER reasons! Sources tell us that we can look forward to seeing Daenerys at the Dragonpit in season 7. In the A Song of Ice and Fire books, the Dragonpit is a massive old building on a hill in King’s Landing. Years before the story as we know it begins, the Dragonpit was used to house the dragons of the Targaryens. Ultimately it was destroyed, with only the ruins remaining. After seeing some of the new Spain locations for season 7, we speculated Game of Thrones might be using one for a dragonpit. There is no word yet if that site, the Roman ruins called Italica found in Santiponce, Seville, is the place where the Dragonpit will be filmed. Besides the fact that we’ll be seeing another intriguing site, the larger takeaway from this news is that based on the Dragonpit’s established location and what our source told us, we can confirm Daenerys will be arriving in King’s Landing in season 7. What comes next, well that we don’t know yet. But I don’t imagine Queen Cersei will be thrilled to find a Targaryen outside her doors…if Cersei still has her crown by this point. Cersei being on the throne really doesnt jive with me. It should be Aegon. More conflict from Dany within with Aegon being family. Cersei is just a villain. Besides, Cersei we suspect will flee to Casterly Rock after burning down KL when Aegon invades. Who will go to Casterly rock now in the show? i guess we just wont see it? Yessss!!! Dany and her dragons in King’s Landing! You’re reign of terror is over, Cersei Lannister. Can not wait!! Heck, Cersei may not have her head at that point …. Aegon Mopatis/Blackfyre is a goner. Forget him. I’m not sure why I’m so excited. Given her visions in the HotU, there wasn’t much of a question in my mind she would make it to King’s Landing. I suppose I’m just so happy to have her out of Mereen, confirmation she will make it to Westeros this season makes me very, very happy. Oh I’m extremely intrigued now! Seriously now, thank you Sue and everyone else for creating this wonderful community and for making the wait for S7 more bearable. Agree. Total nothingburger. The only interesting part of his story was Jon Connington anyway. Cersei will still be there because she has to meet up again with Tyrion. Cersei is the big villain in his story so they need to deal with that before whatever happens with the Others…happens. 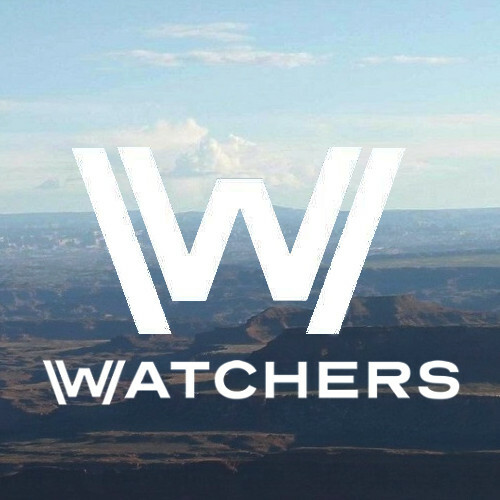 People complain about the long wait between seasons, but it seems to me like we don’t ever really have that much of a dry period without casting news, location rumors and other stuff to discuss. 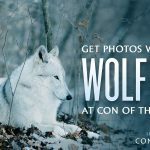 Kudos to WotW for keeping the good stuff coming all year ’round! YES! I was thinking about this today. Where the hell Dany is gonna put her dragons when she reaches KG? Nice knowing they’ll have the dragon pit from the books. I’m still wondering about Dany’s vision of the iron throne in the HotU, though. Sure, Cersei is a goner, but i’m worried at the horrible things she’s gonna do before Dany gets rid of her. We expected this to happen. However, I’m curious if Cersei is still alive at this point. Maybe she burns the Red Keep and runs away to Casterly Rock. Dramaaaa. I wonder if the dragonpit is visible in any of the KL shots we’ve seen so far? Will be interesting to see how it looks in S7. Now I gotta decide whether I wanna stay around here and spoil myself or wait to be blown away with no spoilers. Dilemma ??? This sounds like it’ll be episode 7 the finale. Also, isn’t Irish Thrones the one who reported LSH would be marching with an army last season? I’m intrigued by the filming in Riverrun. Who could be involved? 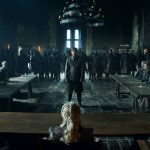 IrishThrones has been way off with plot spoilers but solid on location and set information. Ohh boyyy. I’m looking forward to seeing it this season! This wait is much better because there’s no massive cliffhanger like in Season 5. Really excited for next season! 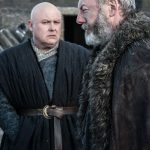 HotPinkLipstick: IrishThrones has been way off with plot spoilers but solid on location and set information. Basically this. They were led astray by people feeding them rumors, but when it comes to actual location information, they’re usually pretty good, since they’re local. Ha! I could feel that structure was for a dragonpit! Can’t wait to see Cersei’s face when Tyrion arrives with Dany!! Seems wicnet doesn’t even do effort anymore to create their own news. They pretty much copy pasta’d this post and worded it slightly different. I hope Cersei doesn’t make it out of King’s Landing, whether because of Jaime or Dany or Tyrion. I don’t see the point in having her flee to Casterly Rock. After Dany takes over, what purpose does Cersie serve? The only reason I can think of allowing her to flee is because D&D are loath to let Lena Heady go. I really want Cersei, Tyrion and Dany to have a face to face. I also want Cersei to see the Others descending on Kings Landing. Grumpkins and Snarks indeed! There is a shot – part of which appears in Bran’s vision – of a dragon shadow flying over KL. The shadow seem to move from the Gate of the Gods toward the Red Keep. There’s more of that shot in one of the documentaries HBO released. I was fully expecting this so not a major spoiler for me but hopefully there is nothing much left of Kings Landing before Dany heads north to her probable death. Cersei is a dead woman walking too, no way she escapes to the Rock when the final season is surely team Jon vs team Dany vs White Walkers. ..didn’t finish saying.. It looked to me as if the dragon was about to land on the Keep roof. Maybe Drogon does burn the roof of the throne room? I wonder if Cersei will play victim and place blame (of all that has gone wrong) on her father to get in good with Daenerys. Obviously Tyrion wouldnt allow it but I suspect it wont be as simple/easy as Cersei being defeated by D’s army and her running off to Casterly Rock. Cersei is too conniving to let it all slip away. I don’t think Cersei will have any interest in “getting in good” with Daenerys. I think Cersei will see her as the younger, more beautiful queen, and with the added element of seeing Tyrion by Dany’s side, will go even further off the deep-end. The Riverrun stuff is likely for Arya’s storyline. Looks like she is heading south, not north. Hmmm…. I don’t recall seeing any hill in shots so far of KL. Where would this dragonpit be? Roocat: Heck, Cersei may not have her head at that point …. Nah, not literally. Cersei has to keep her head for the Valonqar to wrap his hand around her throat to choke her. 😀 Hopefully by the end of Season 7. Praying hard for a Cersei-less Season 8. Jonsnowed: before Dany heads north to her probable death. How north do you think she will go? I hope only as north as the Trident. North of that will be ably handled by the Northerners. If Cersei does end up fleeing to Casterly Rock, I hope it’s to find it already in Tyrion’s hands. A reckoning there would be just as good as one in King’s Landing, in my view. It’s not that far out of the way from Dorne, if you take the western route heading north. 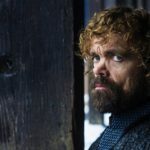 It will be interesting to see what goes down when Tyrion and Jaime cross paths again – especially since the TV version has flipped the book version and made Jaime murderously furious toward Tyrion instead of vice versa. Maybe someone will spill the beans to Jaime about who really poisoned Joffrey, and there will be reconciliation. Dumb question with probably a dozen or so intelligent answers: if the Dragonpit is in ruins what would Dany be doing there? I’m not too thrilled if the dragons end up being penned into the dragon pit. We already know confining dragons hinders their growth. I wonder if Edmure still has a role to play. 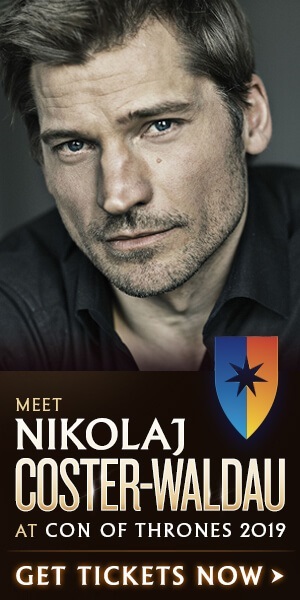 Wasn’t Jaime’s deal that he and his heir would be taken as hostages to Casterly Rock? But that seems like the sort of thing that could happen offscreen. Would still be nice to see some more work from Tobias Menzies, even if his significance is mostly played out. My guess would’ve been the Brotherhood, but they seem to be heading North. Maybe Arya runs into Nymeria and leads her pack to finish off the rest of the squabbling Frey heirs? A scene like that would certainly justify Maisie’s kvelling on Twitter. This is great news, Dany will make it to KL in season 7. Daenerys in King’s Landing? Good. Hopefully Cersei blows her up real good. Firannion, Just seen your comment. In ep10 I thought Walder said that Edmure was still in the dungeon. I assumed he meant at the Twins but am I confusing myself here? I need to rewatch and pay more attention but there were so many things going on I couldn’t take it all in! I’m intrigued- we never see the dragonpit in wide scale landscape shots of King’s Landing, wonder how it will look! Firannion: I wonder if Edmure still has a role to play.Wasn’t Jaime’s deal that he and his heir would be taken as hostages to Casterly Rock?But that seems like the sort of thing that could happen offscreen.Would still be nice to see some more work from Tobias Menzies, even if his significance is mostly played out. In the books, yes, Jaime does order that Edmure and the pregnant Roslin are to be taken to Casterly Rock as hostages. In the show, Walder Frey tells Jaime in episode ten that Edmure has been returned to the dungeons (presumably those at The Twins) as it would be bad form for him to kill his daughter’s husband. Walder Frey said that Edmure was back in the dungeon during his conversation with Jaime in the finale, so it’s probable that Jaime reneged on his deal to take Edmure and his family to Casterly Rock. I don’t think the river lords would follow Edmure again anyway, after he conceded Riverrun to the Freys to save himself and got the Blackfish killed. I think to revisit Riverrun could also feel like retreading old ground, especially so soon after the siege scenes. Although the thought of Arya, backed by the Brotherhood, leading a popular rebellion against the weak remaining Freys in the Riverlands does sound appealing. Arya is, after all, the daughter of Catelyn Tully. I think Arya coming back into contact with the Brotherhood, the Hound, possibly Brienne and quite likely Melisandre is on the cards. I don’t think Arya has any role in the North right now, unless she’s going to turn up and kill Littlefinger. And she may be a bit surplus to requirements in King’s Landing too with Cersei and Jaime’s drama going on and Daenerys heading their way. So the producers might have to find her something to do in the Riverlands for some of next season. Maybe in the show it’s not completely in ruins. I’m just totally confusing myself now about whether the Frey pie action was at RR or the Twins? The Twins. A picture of it can be seen when Walder begins his speech (“Hear me Roar!”). Ahh, I’ve missed this! I’ve been in a Drag Race K-hole all day so it’s awesome to emerge and find this great news! 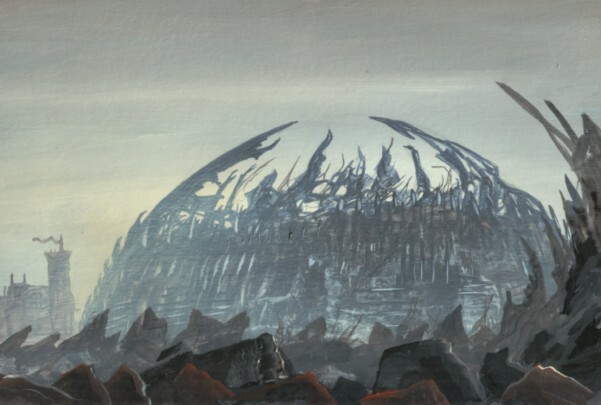 Another exercise: What if Dany kept the “kids” there temporarily while a new one is being built on the former site of the Great Sept, one designed perhaps by the Westeros equivalent of Frank Gehry? It is hard for me to imagine Arya reintegrating a “pack”, to use Ned’s expression. In the books, she often reflects on what she considers to be the void within herself, where a sense of belonging would/should be. And she seems rather pessimistic as to her ability ever to fill that void again. I felt this idea was quite wonderfully alluded to in the show with Arya’s desire to go see “what is west of Westeros” : a departure from the world, and the people in it. So, I am not entirely convinced she is going to meet the Hound, now that he is part of a brotherhood. If she does, my guess is that it would be used to highlight how she no longer fits into this kind of collective organisation (the manner in which she killed the Freys contrasts greatly with the way the Brotherhood Withouth Banners executed its rogue, murderous members). It should be interesting to have these two meet again and revisit (confirm, really) Melisandre’s “vision” into Arya’s soul (the darkness, the eyes she closed forever), especially considering how unsettling this prophecy had been for the youngest Stark daughter back then. However, Ramsay’s 20th Good Man may very well have a point. Would the Rivermen be willing to follow Edmure after he let the Lannisters and the Freys into Riverrun, even though he had a bloody good reason to do so, including in regards to his own House’s standards (after all, family comes before honour and duty in the Tullys’ words) ? Maybe not. Which begs the question : who will they follow, if Edmure and his son are out ? Quick question though : is Littlefinger only Lord of Harrenhal or is he also Lord Paramount of the Trident ? In the books, he is both but gives Walder Frey free rein to (mis)manage the Riverlands; however on the show, it is less clear. Quick question though : is Littlefinger only Lord of Harrenhal or is he also Lord Paramount of the Trident ? In the books, he is both but gives Walder Frey free rein to(mis)manage the Riverlands; however on the show, it is less clear. Plus, Jaime said in 6×10 that the Lannisters gave the Riverlands to the Freys. Thanks a bunch ! I had forgotten this. I don’t mind who gets the army back together, I suppose there’s a possibility the Blackfish is still alive and they’ve done a fake death, certainly wouldn’t be the first time? Once Edmure’s free and RR is retaken the Freys are shafted. Head of the House is dead, no way will what’s left of the Lannisters come back to help them a second time and their only other allies, the Boltons, are gone. Awww couldn’t happen to nicer people. We don’t get that much ‘justice’ in the show but they are paying for the red wedding. Catspaw Assassin: What if Dany kept the “kids” there temporarily while a new one is being built on the former site of the Great Sept, one designed perhaps by the Westeros equivalent of Frank Gehry? This makes me laugh, as tomorrow I have to take my son back to his college campus, whose performing arts center is a Gehry building. It is widely admired, but to me it looks like Darth Vader’s helmet made of tinfoil! That wouldn’t happen to be Bard College, would it? The building I’m thinking of fits the DV helmet bill, pardon the pun. I think the lesson learned by Dany last season was “feck anything that gets in my way,” so I don’t see her taking Cersei very seriously. After all, what does Cersei have? An army that needed help from the Tyrell’s to “rescue” the King in his own kingdom, a brother/lover who appears to finally realize she’s bonkers, a robot bodyguard, and a mad scientist. Oh there is no doubt the Freys are done for ! Walder and both his heirs apparent are dead and they were the linchpin holding their rather feckless House together. So I do not think the Lannisters or the Queen’s army are ever going to show up to rescue them out of kindness. However, Cersei may / should try to keep the Riverlands under her control, if only to maintain a semblance of territorial cohesion hence credibility as Queen of multiple kingdoms. Similarly, it would be strategically advantageous for Jon to gain the Riverlands. Not only would it create a “buffer zone” between the North and Cersei’s lands, but it would also provide Jon’s army with more troops who should be somewhat familiar with the cold. It is indeed the Fisher Center at Bard of which I am thinking. My son had the good fortune to get into one of Neil Gaiman’s classes there last fall! (Adapting Shakespeare: They took liberties with The Merry Wives of Windsor.) We have also seen Peter Dinklage perform there live, in drag, in a Moliere play directed by his wife, Erica Schmidt. 😉 The thing about their going off to college is they come back in a mere blink of an eye later, alas nowadays carrying an extremely heavy backpack filled with loan statements. I took some drama classes in college, painting sets and working the lights, which came in handy during my brief but fun sojourn in the film world, but it was my brilliant high school drama teacher who inspired me and my classmates the most with a pretty darned good production of “The Merry Wives of Windsor,” which taught me a helluva lot about the confluence of life, literature, and stage light gels. I was so excited about Dany and the dragon pit I overlooked the tidbit about Riverrun, until I read the comments. I agree with what others said, Riverrun should be hotly contested now that the ruling lord and his sons are dead. I kinda want Edmure to stop being so damn weak and reform the Tully army and retake Riverrun, once and for all. He fucked over the Blackfish and his men in S6 and has been more or less the joke of House Tully (in the show) since his introduction. It’s time he proves he shares the same blood as the badass legendary Blackfish. Even Cat and crazy Lysa had more fire than Edmure. And since Arya is the reason for the current power vacuum in the Riverlands, Edmure should show his appreciation by declaring for House Stark and the King in the North. Time to grow a pair, Edmure Tully. I am thinking Cersei’s army will try and gain control of the Riverlands and Arya will take command of Blackfish’s army, and beat the Lannisters back. I think CL is going to blow up the Red Keep. The season finale’s “shocker”, and her growing similarity to the Mad King definitely seem to indicate this potentiality. Danny’s vision from the end of season 2 (the ruin of the throne room with the throne itswlf in tact) coming true would definitely be consistent with the spirit of GOT. I may be wrong, but didn’t Bran Stark witness a flash of this as well? I also like the irony of the Iron Throne being pretty much meaningless by the time DT gets to KL. The throne’s significance has been on the decline since the beginning. Also, if DT want’s to “break the wheel”, the throne’s destruction could play a major role.  I mean, look at what it represents: both figuratively and literally. I’m just totally confusing myself now about whether the Frey pie action was at RR or the Twins? Where ever it was I thought Edmure was in the dungeon there so Arya could free him, he could regroup the Blackfish’s army and take back RR whether there are Freys there or not. It’s too hot here I can’t think straight ? Just kill some more people I don’t like and I’ll be happy! ? Aria served the Frey Pie in the same room as the Red Wedding. That would be at the Twins. I’m not sure where Edmure is, but with Walder’s death and composition of the Frey Pie (his Son’s and heirs), Edmure may actually be the rightful heir of both Riverrun and the Twins. Given how unpopular he’d likely be and his incompetence, he should be pretty unpopular, thus opening the door for conquest. I must respectfully disagree with you RE Arya. She’s a loner and an assassin with a list of targets. She has never cared much for politics or the life of a “lady”. Also, her training is in stealth and anonymity, she won’t do well in open battle or as a tactician. I expect her to be working on checking more names off of her list. I am uncertain about the certainties expressed. Dany could be in King’s Landing while Cersei is there. Perhaps just before a battle. There will be no peace between them. Cersei wants to keep being queen and Dany wants to take over. No room for compromise. The real importance of this is that Euron will not be all that effective. If Dany’s army is set in Westeros, he can at best be a pirate and he will be one with ships that would be vulnerable. Remember, he has few possible alliances. Dany would be in Westeros and Cersei is what’s left. 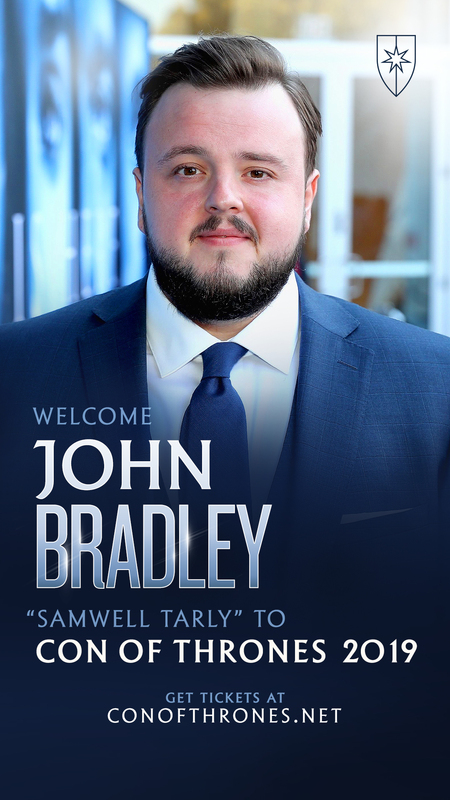 He has nowhere to go with the forces in the North or with the Night King. I doubt Cersei would ever give the Frey holdings especially Riverrun to Sansa. She still blames Sansa for Joffrey’s death. There may be some fighting over the properties however we should keep in mind everyone will be quite aware that with fighting at the top, all results could be overturned. I think Littlefinger will e hard at work here, If he can control and marry Sansa, he might get the Tully lands and maybe even those of the Freys. And he could control Robbyn for control there. But my guess is that sooner or later he will get stomped. I would guess Dany will get to King’s Landing late in the season. Jaime might kill Cersei if she starts lighting up the city with Hellfire and then surrender. Tyrion might save him; he owes him a life. He could be sent north to the wall…or thereabouts. 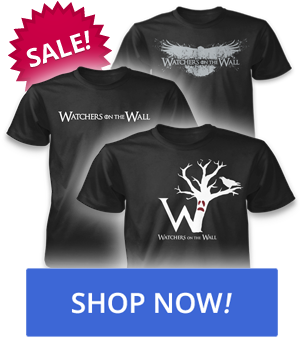 The only question is who will burn the Keep–Cersei or Dany?
? The thing about their going off to college is they come back in a mere blink of an eye later, alas nowadays carrying an extremely heavy backpack filled with loan statements. It was becoming a Drama Club geek in high school that turned my son into a Theatre Arts major, with one more year to go before he comes home with a BA degree, dreams of being a playwright, mounds of debt and no clue how to make a living! But I somehow managed to find a way to make a career out of my ‘useless’ English major, so I expect he’ll flounder about for a few years and then find his niche as well. There must be a lot of Frey heirs left. They might however all get into a fight for the inheritance, basically falling into chaos and self destructing. I don’t see any of the remaining Freys lasting much longer. So it’s interesting who gets involved in the Riverrun storyline. My guess would be Sansa/ Jon/ LF (other than Edmure). I hope we get reports of who ends up filming there. Dany in the dragonpit, while very exciting, is what I expected. Finally, these are exciting times!! Have we ever gotten a visual of the Dragonpit on the show, in one of the KL establishing shots or anything? I don’t believe so (even in the books, that the third of the city’s three major hills is hardly ever mentioned). I just wish they now start writing dany’s emotional side more from now instead of the one note regal queen they have made her in the show. Now What we need confirmation is whether we have dany at dragonstone looking over Aegon’s painted table of westeros map . For those who believe that dany may burn KL and use bran vision of dragon over red keep as example need to remember two things. 1) snow fall already started in KL at the end of ADWD ..
2) dany’s vision from HOTu is middle of winter .. So when dany reaches KL its going to be in winter.. Hence the dragon vision from bran is either in the past or from the future after war of dawn is ended and summer returns ..
Is it me or that picture of dragonpit looks a lot like the dothraki temple ..
Dany in KL is fun, if expected. I hope that Cersei and Jaime kill each other in the throne room just before she arrives… that would be such a great scene: Dany walks in, and sees a massacre. Cersei. Jaime. The Mountain. The Hound. Qyburn. Varys. All dead. All those stories finished. And of all these people, she knew only Varys, and that just barely. Tyrion goes to close the eyes of his siblings. They never got to exchange another word again, after Season 4. Arya Stark is sitting in a corner, numb after a failed mission (all those people are dead, but they killed each other, she failed to kill anyone). –And then, snow begins to fall through the ruined roof of the Red Keep. Cersei will back away from kings landing and return to casterly rock. She will than join hands with her neighbour with 1000+ greyjoys and lannister ships. 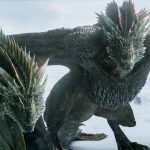 To control dargons there will be return of something from season 2 – the horn watchers of the wall found on fist of first men. The horn is also taken by sam to oldtown, which is also on west coast and ships of eugon will reach there. Anyway, I don’t think that Cersei will go down without a fight and that everything will run smoothly for Daenery’s. Do you remember what Robert said to Cersei in season 1 about controlling many different armies with different motives? Well, Daenerys army is like this. With the work seemingly going on in the courtyard, is it possible that they are reusing the set to represent another castle? I know that sets have been used to represent multiple rooms/locations before (particularly, I think, where the Castle Black interiors are filmed – and I am sure that the harbor where Arya sets sail for Braavos at the end of season four is the same one used for Theon in the Iron Islands in season two). Could they be setting up the courtyard differently to represent another Riverlands castle, or one in the south that Daenerys might take? It would simply take redressing the sigils and shooting from a different angle. For me, there is a real question mark hanging over the Riverlands arc next season. As of the end of season six, we have Melisandre heading south (and, as per season three due to meet Arya again at some point); Arya at The Twins; Sandor, Beric, Thoros and the Brotherhood in an unspecified Riverlands area, heading north to fight; Brienne and Podrick presumably heading north back to Sansa from Riverrun. It is not impossible that one or more of these groups will meet each other, and they all have history – most of it not good. Arya is……….on the one hand, I can see her going south to complete her list and ultimately becoming the Stark in Daenerys’s camp; on the other, I can also see her meeting up with Sandor again and heading north after hearing that the Starks have recaptured Winterfell (remember: before heading to Braavos, it was the Wall that Arya wanted to go to – and therefore Jon, who now rules at Winterfell). As for the dragonpit, I think the fact that we are seeing this and not just the Red Keep maybe suggests that Daenerys reaches King’s Landing before the last episode of the season? The entire KL plot is going to be interesting, even with the reduction in cast caused by the explosion at the Sept of Baelor. Frankenmountain is apparently there to kill all of Cersei’s enemies – isn’t that what Jaime will ultimately become when he realizes that he needs to rid the world of the Mad Queen as he did the Man King. And as he killed the pyromancers before, I think he will need to kill Qyburn and Frankenmountain this time around. Though how he will do that with one hand, I am really not sure. Regardless, one advantage of the massive character cull of season six is that we have dramatically reduced the locations/character arcs in play. Ultimately we have Bran and the Wall (he finished season six in the shadow of it); Winterfell; the Riverlands; King’s Landing; Dorne; Iron Islands; Daenerys; Oldtown. And not all of these (I am thinking the Iron Islands, which I don’t think we will necessarily see in the season premiere) need to feature in every episode. Given this, we can spend more time in these locations instead of a two or three minute drop-in (such as we got with Arya in the first couple of episodes of season six). And I think that Daenerys will land in Westeros, in Dorne, in the season premiere – which effectively unites those two arcs. Euron gave it already to Victarion in the books. So the horn will be his or Dany’s. There will be no dragonhorn in the show. Dany can control her dragons easily in the show. Dany will go to the wall and beyond and then die there. There are many differences between the show story line and the book story line, so I’m not counting on what happened in the books. There is no Victarion in the show and Euron is after his niece and nephew. In the books, Theon and Yara/Asha have nothing to do with Daenerys etc. I brought the dragon horn up because I think it will add a lot to the show story line. It will make things more interesting. Maybe Arya uses Walder Frey’s face to release and restore Edmure to rightful heir of Riverrun? I think there will be a huge battle between Cersei/Euron vs Dany/Yara/Theon. If Euron using the horn, I think Tyrion will calm down one of the dragons and Dany will ride Drogon(he loves his mother more than the other dragons) After the battle, Dany wants to lock the dragon up in the Dragonpit. Iam fairly sure that GRRm is going to have dragonhorn end up with dany once she returns to meereen..
She being the last of dragonlords and valyrian will only be the only one who can blow the horn without end up dead..
And the show completely removed it as its unnecessary element and focuses only on mother and children relationship between her and her dragons . I think that the dragonhorn will appear on the show, but it will serve a different purpose, to showcase the difference between Dany and Euron. Dany controls the dragons in a natural way, via empathy and communication. This is encapsulated in the idea that she is their ‘mother’. In contrast, Euron will try to control the dragons in an artificial way – by brainwashing them with the horn and so enslaving them. “A dragon is not a slave.”? Perhaps Dany will learn that, with the right instrument, even a dragon can be made into a slave. And perhaps the only way to release them from slavery is to kill them. Iam sorry I don’t think it Will happen that way. Rather I don’t want that to happen ..
Its a great quote and gives us how dragon and dragonriders bonding works ..
Dragon bonding is a mutual choice between dragon and its rider..
Its one of the reasons I hate the idea of warging a dragon..because its not a mutual bond but taking control over the mind forcefully.. So I don’t like the idea of dragonhorn used to control one of the dragons as well..
Just some clarity on Jaime’s offer to Edmure. First, Jaime offered safety at Casterly Rock in exchange for RR. Edmure turned it down flat. Jaime’s second offer was “give up the castle or I send your infant child over the wall.” Edmure accepted the second deal. Jaime was under no obligation to fulfill the first rejected offer. It was a total Vito Corleone moment. Euron will kill Yara, Theon kills Euron. I hope they don’t do things this way. I hope the dynamic between Yara and Theon will last to the end of the show. Theon eventually coming to rule the Ironborn despite all he’s been through, as some sort of final redemption, is a tempting way for the story to go. But I also think it’s rather predictable. I think that Theon ending the show comfortable in a secondary role, prioritising supporting his family, is the more fitting ending for somebody who began the show and suffered a downfall due to ego, ambition and jealousy. They may be tempted to give Theon a redemptive hero’s death if they’re looking for any more Hodor-esque tragic deaths in the remaining seasons. I know some fans desperately wish it to be true. 😉 Personally I have no idea why she would venture so far up north. Yaga: “A dragon is not a slave.”? Perhaps Dany will learn that, with the right instrument, even a dragon can be made into a slave. And perhaps the only way to release them from slavery is to kill them. Or perhaps Euron will learn that yes, indeed, a dragon is not a slave? It could go either way………. Because she is supposed to based on HoTu from show which showed us she will go north of the wall..
And in the books its described more in symbolism and subtle way …like HOTU is powered by a corrupted blue heart which is the main source for the power of Undying ..dany and drogon destroyed it..
Blue heart which is corrupted giving power to undying. Does this sound similar to anything we have seen or known in the universe like heart of winter or lands of always winter .. This makes me happy. I was worried GRRM would kill her off in transit or have her take an arrow to the eye on the shore. I replied to you back on the Maisie/Jon post, but maybe commenting is closed. It seems like the thought of dany dying in season 7 makes them feel so good and therapeutic..
Yeah, this is something I never understood even after being part of the fandom for 10+ years..
What I was thinking, but crucially failed to say, was that once Cersei finds out Dany is on her way she isn’t going to send precious resources elsewhere, army or otherwise. 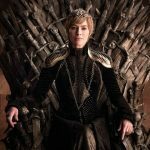 It’s always difficult to work out the timeline in the show, and they are not very good at integrating Dany’s story into Westeros’s (as in people seeming to have no idea in recent series that she’s gathering a huge army and on the move with 3 massive dragons), but Cersei strikes me as a stand and fight kind of girl who probably imagines she can somehow win this and will stay where she is with whatever support she can muster. Also, news of the Boltons defeat and the Northern Houses rallying around Jon Snow (YAY! The Kit in the North!) is going to spread like er…..wildfire…….and the fact that her supposed ally, the Vale, piled in on the side of the Starks against the Crown. That was a very long way of saying once it becomes obvious what’s coming and how little effective support the Lannisters now have, they aren’t going to go adventuring elsewhere. I guess we’ll see Jon come south looking for anti-WW help, Dany north (I’m assuming they start off in Dorne or thereabouts) and the lion twins stuck between them and heading for oblivion. Thank you, NWQ, I think that’s exactly right. Cersei has never seen other women as friends, only as underlings and competition. She certainly wouldn’t try to win over Dany. Wasn’t the prophecy that a younger, more beautiful woman would take everything she has? What’s left for Cersei, except a kingdom that she’s already partially destroyed, and … Jaime? I dismissed the Dany/Jaime shippers earlier this month when there was a thread speculating with whom Dany might end. Dany and Jaime seems more likely now. Many seem to think that it would be Jaime who kills Cersei, thus making the valonquar part of the prophecy come true. But that part of the prophecy never made it to the show. maybe it’s the other way around. Maybe Cersei is so crazed at the idea that Dany would make a play for Jaime, or heaven forbid, Jaime might show some interest in Dany, that Cersei kills Jaime and then herself. Who knows? Summer speculation is part of the fun of off-season at WotW. My son had the good fortune to get into one of Neil Gaiman’s classes there last fall! (Adapting Shakespeare: They took liberties with The Merry Wives of Windsor.) We have also seen Peter Dinklage perform there live, in drag, in a Moliere play directed by his wife, Erica Schmidt. Gaiman and Shakespeare and Dinklage and Moliere? Ok I am now incredibly jealous of your young man. Which Moliere, may I ask? I was in drama in HS, and I fondly remember our production of Imaginary Invalid, as well as watching an amazing performance of Tartuffe by a British theatre company (can’t remember which). Love that stuff! Ok, wait, where am I? Oh yes, the fate of the seven kingdoms. Wonder what the Bard and Moliere would have done with that. Dany walks in, and sees a massacre. Cersei. Jaime. The Mountain. The Hound. Qyburn. Varys. All dead. Agreed. Surely by now (since we know that she has deployed spies everywhere), word would have gotten to Cersei that her detested little brother is not only still alive, but actually in a position of power, serving as Hand to another Queen. I so wanted to see the look on her face when she found out! But I fear that we’re past that point in the narrative already. Lulus Mum: The insides of these buildings are too similar looking for my poor confused mind. Each House needs to adopt a distinct interior decoration style so I can think “Arya in a room with green and orange spots and stripes, she’s obviously in House Who On Earth Picked This Hideous Pattern? I sometimes have that problem too. Trouble is, when the (admittedly brilliant most of the time) GoT scenic designers decide to made a particular interior have a unique look, they sometimes get a little carried away with their own creativity. I’m thinking particularly of Dany’s chambers in the Great Pyramid of Meereen. Could those wooden screens and chair backs with the geometric designs look any less medieval (or even Middle Eastern)? I keep waiting for the camera to pan around to show us the Ikea area rug on the floor and the Klimt paintings on the walls. ash: Gaiman and Shakespeare and Dinklage and Moliere? Ok I am now incredibly jealous of your young man. Which Moliere, may I ask? I’m incredibly jealous of him too! And I thought it was cool that I got to take a Tolkien course back in my own college days… When I heard that Neil was joining the Bard faculty, I was ready to go back to school myself. The Moliere was The Imaginary Invalid. Dinklage played Toinette, the maidservant. So you must picture him in a frilly white pinafore and mobcab, bossing the old codger around and making salty asides. He was quite funny. Oh my…….I must look online for a photo of that….! No doubt Cersei has spies, and she is actively trying to find Tyrion, but I’m thinking more of the general in-plain-sight things. Not sure where you are but here in the UK throughout history we heard about new things – mmm potatoes, thank you the Americas! – and changes through people involved in trading (and later navies). It’s clearly possible to travel between Westeros and Essos relatively easily and word of something major like a 3,000 strong Unsullied army being sold en masse and leaving for somewhere else, or oh look there’s a bloody massive fire breathing dragon flying around, would have spread quickly as they are really out of the ordinary. It’s basically awesome gossip and people love to be the first to tell others that sort of thing. As for the styles, I’m no expert so allow them a lot of leeway on what looks like it belongs together and can forgive most things, although I always marvel at what seems to be a complete lack of buttons? I don’t know if I’m imagining it but everything seems to be tied together and I don’t remember seeing anything button-like anywhere? Perhaps they are later in our own history than I realised? You’re so right about the news of the dragons etc. spreading too slowly. It would certainly be gossip on everyone’s lips. And food! You’d think that there would be an East Essos Trading Company that would have brought tea leaves back to King’s Landing from Yi Ti by now. When Arya goes to discover what lies west of Westeros, she can come back in triumph with chocolatl and rule the world thenceforward. I don’t remember exactly, but doesn’t that vision show the sept of Baelor too? Is this is a glitch in their script, or was it a flashback instead? As for integrating Daenerys into the Westeros storyline, you and Firannion are right. Her progress through Essos should be a hot topic. However, one may wonder how accurate the reports from so far away can be. The Braavosi play was quite fascinating in this regard : this comedy of errors, with Tyrion as the villain and Joffrey as the kindhearted young king (dear Lord !) 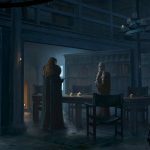 is what Braavosis appear to believe happened in King’s Landing ! Yet, Braavos is much closer to Westeros than the Bay formerly known as Slavers’ and has many more ties to the Seven Kingdoms than any other part of Essos. Wow, how beautiful is that? The Iron Throne, well whoever sits on it, needs the medieval equivalent of a spam filter to sort the important news from the rest and concentrate their interest on potentially threatening news, like real, actual, living, breathing bloody enormous dragons, and their mum, casually burning whole ships and stuff. Unless of course they are more interested in someone’s drastic weight loss or amazing new hair do type news and are waiting for the invention of celebrity gossip magazines. We knew this even before the big departure in season 6 so anything related to that and KL it’s no surprise at this point. Oh that is easy. Cersei is much more than a villain. She still demands and receives loyalty from crownland soldiers and def. the Lannisters. She owns the City Watch and probably has friends in the Stormlands because her kids afterall were Baratheons. I believe Jamie will be heading back to Casterly Rock to get the rest of his army and head north. Cersei won’t make it because Jamie kills her as she is trying to burn down KL. just my own fun speculation. I expect zero fighting between Cersei/Jamie’s armies and Dany’s army. This will in turn create conflict. Dany has let Cersei go home to Casterly Rock because they agreed to be loyal to the throne. That will piss off the Sands/Martells and Olenna. dany will get her first taste of politics in Westeros by showing mercy to the Lannister family. I could add more. I am totally guessing. Hardly, I can’t see how the northerners can defeat the Walkers unaided. Dragons vs Walkers all the way.